This review is about item#328386. Naturally no problem because it is a manufacturer without a mistake. There are cheap maker products, but with small volume production like the inside, the risk can not bear for several tens to several hundreds yen. This review is about item#00328386. Replacement of roller bearings for bicycles with three roller bases. Both machined precision and initial smoothness of rotation are NTN, a cliché. We purchased more than one, but there is no problem of product variation. I was able to use it at ease. Durability is unknown at this point, but it was clearly longer life than the one that was assembled by default even when it was replaced before. Trustworthy. This review is about item#328106. It is saved by being overwhelmingly cheaper compared to genuine products. We also referred to other reviews. I'm satisfied. This review is about item#00328106. It is used for maintenance of the front wheel. I am running without problems. I used it to exchange the roller shaft. Since it is a maker item, it can be used with confidence. The price is also cheap good item. This review is about item#327826. Although non-contact type bearings were attached, since it felt that the gorillol was caught when idling, it was replaced. With a structure hub pushed in a commonly exposed bearing, rust also appears in the retainer as water seems to enter when used for 1 or 2 years, I tried this side contact type here. Lightness that I did as I did when I turned by hand ceased to exist, but I continue to turn properly with inertia. Since the hub of a bicycle rolls with the weight of a person rolling, it will not be a big difference if it is a bell on a town ride. Actually, I do not feel a disadvantage, and the merit seems to be great considering durability. I have been using it almost everyday for about a year, but I do not feel a sense of collision. This review is about item#327756. It is kind of rich and saved. I am using it without problems. It is cheap because it is a consumable item. This review is about item#327966. I tried using it for the motor bearing maintenance of a noisy disc grinder. I tried to replace it because the noise has become so big. In addition I cleaned the bevel gear and tried grease up. It is quite satisfying because the noise level has decreased considerably. Thanks to you, it was very helpful to arrive quickly after ordering. I hope in the future as well. We ordered for replacement of wheel bearings. I can appreciate it because I can buy the size I want in units of one. This review is about item#328036. Even if it is cheap, precision etc. is no problem at all, so I purchase it every time. It should be said that it becomes rusty more by surface treatment and so on. 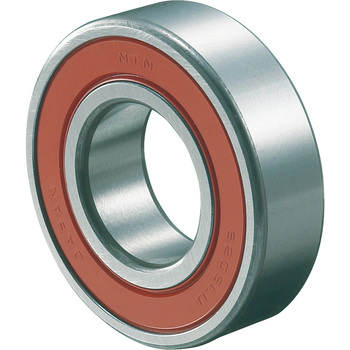 It is most widely used in bearings Good. It is used for manufacturing and repairing mechanical parts. Because it is a standard part, I use it with peace of mind. I am careful about replenishment. I heard abnormal noise from the gear case of the bush cutter, so I bought three internal bearings for replacement. There was no abnormal noise and we could cut grass well. There are three other bush cutters, so I would like to purchase again. There is no waste as we can send only the necessary quantity and it is appreciated what is quicker than anything else. This review is about item#00327826. Although it is exactly the same as a genuine product, I think that it is very profitable for a person who can purchase price below half price of the genuine part's fixed price and can maintain himself. We used it for the first time with Suzuki's mini car MT, but it was a customer reaction that it will not change as before. I understand that the specification is different from genuine products and purchase it. I am using it at my own risk and I am satisfied that I can improve my purpose.